Call center industry across the globe has seen a noticeable change with the launch of new startups and changing behavior of consumers. This has forced the call center service providers to implement numerous management strategies and technological solutions in order to streamline the services. The contemporary changes in call center working give us a brief idea on how the industry will look like in the future. Let’s see different aspects related to future of call centers. The number of online stores is growing at an exponential rate. The online statistics portal Statista reported that B2C e-commerce sales across the world were around 1471 billion dollars in 2015. This shows that future of shopping belongs to online retail. These online retail firms will have a huge challenge of satisfying the customers in a better manner than their counterparts. Even startups from other sectors like technology, mobile device applications and hospitality etc. will need world class customer support. Therefore, these firms will rely on call center firms to receive finest support for customers related to their online retail business. And contact centers will recruit more number of deserving individuals to meet the demands of the market. As a result, there will be a boom of jobs in call center sector in future. This will increase work from home agents who can work from comfort of their house or while travelling. In future, customer support centers will rely on technologies like voice biometrics to resolve security problems. It is will be an integral part of interactive voice response (IVR) technology. It will allow faster authentication of customer as compared to methods which are used presently. It will also reduce the frustration of customers who hate the present modes of security. And of course, security will be become more effective as compared to the knowledge-based authentication used by the contact centers. It is still in its initial stages as only few outsourcing vendors are using it presently. But in future, it will become necessity as almost every outsourcing vendor will implement in its operations. It’s no more a hidden fact that call centers are storehouse of large chunks of customer data. 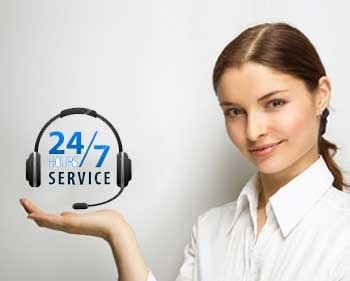 This data from call recordings, social media and other resources is being utilized to offer better services to the customer. Even some segments of customers are now aware that there data is being used to modify the quality of services and make it more personalized. This has increased their expectations and they expect better level of customer support services. In the future, every consumer across the world will know how companies are focusing on enhancing the service through the support of their data. Therefore, the expectations of the customers will be skyrocketed in future. This can pose as a challenge for companies who will be already competing with other players in the future. As a result, contact centers have to offer finest form of customer support using data analytics to exceed the hopes of consumers in upcoming years. It is definitely possible that artificial intelligence will play a key in customer support in upcoming years. In fact, recent launch of AI bots by Microsoft Inc. has reinforced this idea. These bots that boast AI capabilities can be customized to create multiple online tools that can be used for customer support. The company also explained how these bots can be utilized to improve chat and email support in customer care processes. Therefore, call centers will utilize these types of technologies in future for interacting with end-customers of every industry. Choosing an option by actually looking at smartphone or computer screens will become a common phenomenon soon through the use of visual IVR (interactive voice response). Customer service in which agents will interact with customers through videos will also become popular in call center industry. Through this video platform, agents will be able to provide the service in a better manner as compared to conventional phone support. All these possible trends related to different aspects of the future also give us a faint idea that only those call center firms which will adapt as per changing environment will survive in the upcoming years. VcallGlobal is one such outsourcing firm that constantly learns from market trends and modifies its working to suit its clients and their end customers.